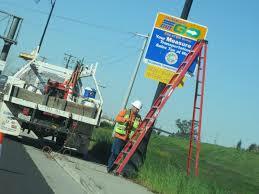 With The Failure of Measure B, How Will Elk Grove Pay For its $75+ Million Road Maintenance Backlog? Over the last several years the Elk Grove City Council consciously decided to kick the can on routine road maintenance down the road as it were in hopes of getting funds from a county-wide sales tax increase. That 30-year one-half cent sales tax increase proposal was on the recent November ballot as Measure B from Sacramento Transportation Authority (STA). As declared by the Sacramento Business Journal, that measure failed to win voter approval falling short of the required 66.6-percent super majority. According to the most current results posted by Sacramento County on Monday, November 28, yes votes received 322,798 or 65.08-percent to no votes totaling 173,178 or 34.92-percent. Aside from the implications for entities like Sacramento's Regional Transit which, according to the Business Journal, face tough choices including scaling back routes and other cost-cutting measures, the consequences for Elk Grove are also significant. First comes the routine road maintenance that the City has willingly and consciously deferred in hopes of reaping funds from the proposed sales tax. The City, to use poker parlance, was trying to draw an inside straight in obtaining those monies. As often is the case of trying to pull an inside straight, the City came up a few cards shy. As a point of reference, Elk Grove's former Public Works Director Richard Shepard made what is now regarded as a critical presentation on the City's road maintenance program at the October 10, 2013, Elk Grove City Council meeting. During that presentation, Shepard noted that while the City's roads and streets are in overall "good" condition based on best practices standards, there is an annual maintenance shortfall of at least $8.6 million. "This is the largest asset that the City has to protect," he told the Council. At that time Shepard noted that the STA was considering what became 2016's Measure B for the 2014 ballot. Given that it was only one year away, Shepard suggested that the Council wait one year and see if it was placed on the ballot, gauge the results and go from there. While the measure did not make it to the 2014 ballot, it appeared recently, and it failed to win approval. So where does Elk Grove go to fund the $41 million that Shepard said was needed as of October 2013, plus the $34-million accumulated since then for road maintenance? According to his presentation at the time, Shepard said there were a few alternatives. One alternative is to go back to voters in 2018. One of the backers of Measure B was Sacramento-based business advocacy group Region Business who told Elk Grove News they would encourage STA to place the measure on the ballot in 2018. Region Business' Executive Director Joshua Wood said a more aggressive approach should be pursued to ensure passage. "Our hope is that leaders will decide to try again in 2018, but invest early in running a campaign," Wood said. "If this is done, we see an opening for a targeted proposal." Sensing that perhaps the super-majority that Measure B needed for approval would be a bridge too far, at his October 2013 presentation, Shepard also noted other ways the city could fund the growing maintenance backlog. Among other funding possibilities at their disposal, Shepard told the City Council they could increase Mello Roos fees, seek a parcel tax, place a sales tax increase on the ballot, or issue general obligation bonds. One other alternative Shepard also offered the City Council was to lower their road maintenance standards. "The real issue is we have got to either close the gap in the funding by finding another revenue source," Shepard told the City Council. "Or we have to change our prioritization process where we can either focus our energy on a certain segment of our road system or just do the arterials or just do the residential or maybe just work on the project that are really, really bad and forget trying to keep things good. But, whatever it is, we have to change our strategies because where we are going now is not going to be effective." When Elk Grove Mayor-elect Steve Ly takes his oath on December 14, this will be one of the many challenges he will face in the coming years.